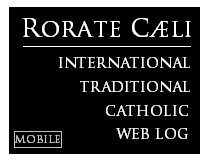 RORATE CÆLI: Socci - "DARKNESS IN ROME: Liberation Theology Triumphant as Work of John Paul II & Benedict XVI is Completely Wiped Out." Socci - "DARKNESS IN ROME: Liberation Theology Triumphant as Work of John Paul II & Benedict XVI is Completely Wiped Out." In the era of Bergoglio, the Vatican has practically rehabilitated Liberation Theology, which came into existence in the 1960s and has caused untold disasters, mainly in Latin America, by fostering the Church’s subordination to Marxist thought. Over the past months there have been startling occurrences, such as the “landing” of Gustavo Gutierrez (“the father” of Liberation Theology) in the Vatican itself. A year ago, “L'Osservatore Romano” published large extracts from one of his books praising his attacks against neo- liberalism. This summer there was another highly symbolic gesture, which went almost unnoticed, in relation to Miguel d’Escoto Brockmann. D’Escoto was the son of the Nicaraguan ambassador for the United States. Ordained to the priesthood in 1961 he became involved with Liberation Theology in October 1977, and publically declared his support for the Sandinista Front, a revolutionary group of Marxist inspiration, which took power in Nicaragua in 1979. D’Escoto was the Foreign Minister in the Sandinista government from 1979 to 1990. In the same government-regime, the Jesuit Fernando Cardenal was the Minister of Education and his brother Ernest was the Minister of Culture. In 1983 John Paul went on a pastoral visit specifically to Nicaragua where he publically rebuked Father Ernesto Cardenal for his involvement with the government. This caused quite a stir and the Sandinista regime organized a public protest against the Pope during the celebration of Mass. However Pope Wojtyla was not one to be intimidated and, from the altar he shouted louder than the protestors and raising the Crucifix high in the air, showed the only true King of the Universe. Despite this public rebuke the three priests responded negatively and D’Escoto was suspended a divinis with the others in 1984. The Sandinista government fell in 1990, but D’Escoto continued being involved with politics. In 2008 we even find him presiding over the annual session of the General Assembly at the United Nations. Once Bergoglio was elected, D’Escoto, ‘smelled the air’ and wrote to the new Pope asking for the end of his suspension “a divinis” so that he could begin again celebrating Mass. The request was immediately granted. Yes, indeed. The day after, (5th August) “La Prensa” of Managua reported some bombastic declarations made by D’Escoto himself on Nicaraguan TV, Channel 4. The title of the report: “D’Escoto: Fidel Castro is chosen by God”. 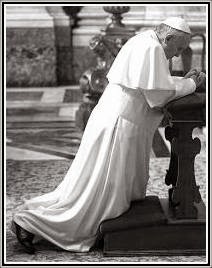 The priest and ex-minister, just readmitted to celebrating Mass by Bergoglio, declared: "The Vatican may silence everyone,(but) then God will make the stones speak, and they will spread his message. Yet God hasn’t done this - He chose the greatest Latin-American of all time: Fidel Castro." According to “La Prensa”, D’Escoto, who is the current director for border issues and international relations for the Government of the President of Nicaragua, the Sandinista, Daniel Ortega” (hadn’t he abandoned politics? ), also added: "It is through Fidel Castro that the Holy Spirit sends us the message. This message of Jesus, of the need to struggle to establish, firmly and irreversibly, the kingdom of God on this earth, which is His alternative to the empire". After this theological praise of the Cuban tyrant, who has been oppressing an entire population for decades with a communist dictatorship, D’Escoto then expressed his joy at Pope Francis’ revocation of his suspension. The kid-glove treatment Bergoglio used on the powerful and famous “companion” D’Escoto, contrasts with the iron-clad-fist used to hit a holy, humble religious - Father Stefano Manelli, Padre Pio’s spiritual son and founder of the Franciscans of the Immaculate. Father Manelli had written to the Pope too, but his letter wasn’t even taken into consideration. His orthodox, disciplined religious family, full of vocations, has been annihilated by the will of Bergoglio himself, in so far as he had applied Benedict XVI’s Motu Proprio on the liturgy. He was just too orthodox. Father Manelli has never been disobedient to the Church, has never deviated from sound doctrine, has never thrown himself into politics like D’Escoto and has never praised Communist tyrants. Yes, in fact - a great disaster. Some “companions” in cardinal red today hold top places in the Vatican and are punishing those who have always been faithful to the Church. Cardinal Braz de Aviz blithely snubbed the unforgettable condemnations of Liberation Theology made by Joseph Ratzinger (and John Paul II) with “Libertatis Nuntius” (1984) and “Libertatis Conscientia” (1986). They think they they’ve won now: Wojtyla is dead and they believe Ratzinger has lost. Today, in the era of Bergoglio, we’re going back to Rahner, to that philosophy which has already done untold damage to the Jesuits and the Church. In this abysmal emptiness Catholics are again being tossed about here and there “by every wind of doctrine”, subordinate to every ideology and contaminated by any and all heresies. A great darkness envelops Rome.